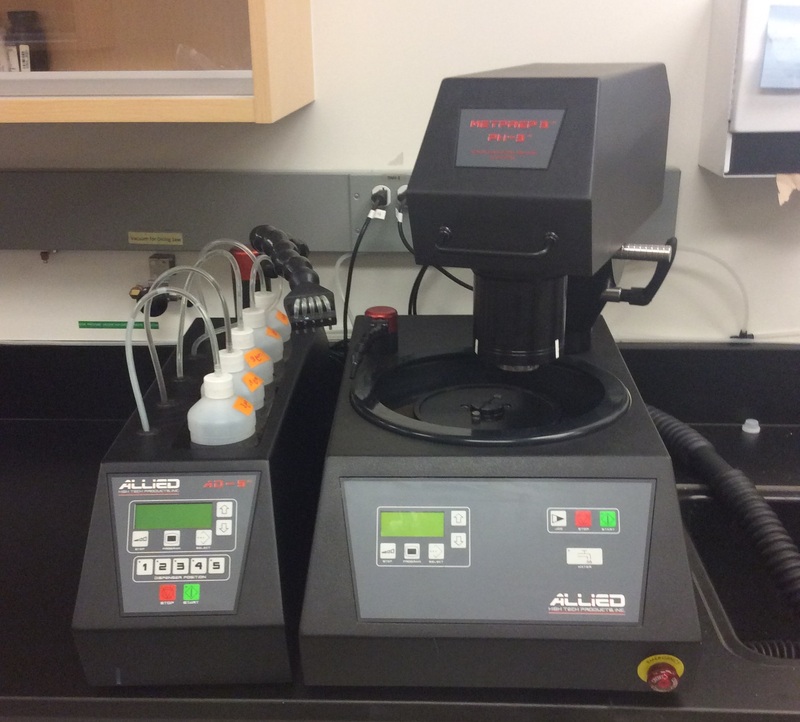 This MetPrep 3 grinding and polishing machine with PH-3 power heads is equipped with an AD-5 Fluid Dispenser for automatic operation, ideal for low to high volume sample preparation requirements. Different modes allow for in-process adjustments to platen speed, sample force and sample rotation speed to determine optimum parameters, as well as enable convenient variable speed platen rotation without activating the power head to allow initial charging of cloths or manual grinding/polishing. Standard or magnetic 8"/203 mm or 10"/254 mm platens can be used with any plain/adhesive backed or magnetic system disc.